Christine Makris’ newest aspiration in life is splayed over an acre and a quarter in Reading, Vt.: 26 long rows of grapevines, winding along trellises and stretching over the crest of the hill. The grapes have grown full and heavy in bunches, a promising indication of the harvest just weeks away. A total of 875 vines make up Brick Cape Vineyard, a budding operation run by Makris and her husband, Jeff MacKenzie. From a wicker chair on the porch of her white cape, Makris recently gazed beyond the lilac and hydrangea bushes, and across the narrow dirt road to the vineyard beyond. Chimes quivered in a breeze that carried a hint of the chill of autumn. Makris, who will be 50 in October, has had a multiplicity of jobs and careers, working as a birthing assistant, corporate administrator, a volunteer ski patrol and homemaker, to name a few. Now she is employed as senior administrative assistant for the biotech firm GlycoFi in Lebanon. In the evenings and on weekends, she tends to her grapes. By the end of August, Makris will begin checking the grapes daily, using a refractometer to test the sugar content for ripeness. The harvest will come soon after, a spur-of-the-moment gathering of family and neighbors for a festive day of picking grapes by hand, with food and music and wine in the afternoon. This year, despite July’s rain and clouds, Makris expects a yield of between 1,200 and 1,500 bottles of wine. Makris, a Massachusetts native, moved to Vermont in 1999 and began living in Reading year-round in 2008. Not long after, she started attending grape-growing workshops in New Hampshire, Pennsylvania and at Cornell University. Makris soon discovered that in the Northeast, growing grapes and making wine was not only possible, but offered an industry full of potential. And with little experience and relatively few growers in the field, it allowed for experimentation and a learn-as-you-go methodology. Makris found a middle ground. In 2008, after attending her first grape-growing workshop, she prepared and turned a 10-acre field across from her house, and began to keep a thorough record of the sun, precipitation and temperature. She had her soil tested and continued to learn all she could about the process, taking out library books, and making connections with vineyard owners across the state. 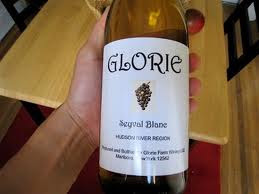 In 2010, she planted 32 rows of grapes, about 95 percent of the vines she has currently. Makris grows eight varieties, both red and green grapes, many of which will tolerate temperatures down to minus 30 degrees Fahrenheit. Meanwhile, Makris had started attending meetings at the Vermont Grape and Wine Council, an organization founded to build collaboration between grape growers, educate the public and promote Vermont’s wines. The council, which is run entirely by volunteers, holds tastings, advertises for its members, and has lobbied to amend tasting and tax laws. Makris served as president for the first half of 2013, before Sara Granstrom, who works at her father’s Lincoln Peak Vineyard and Winery in New Haven, Vt., took over in June. And relatively speaking, the state’s wine industry is barely out of its infancy. 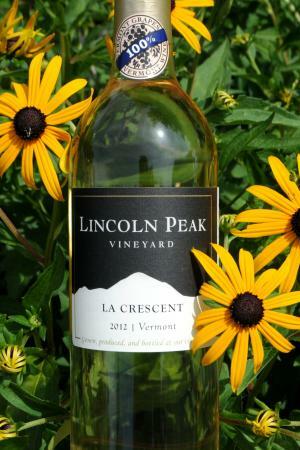 The first vineyard was established in Vermont in 1997, and since then, grape growing has taken off, with around 20 wineries and many more vineyards of various sizes. The development of new varieties of grapes spurred the growth: cold-hearty hybrid grapes, the “grandchildren or sisters or children,” Makris explained, of Europe’s Merlot and Chardonnay. 2012 was Brick Cape Vineyard’s first harvest, and despite a banner year, the birds got to the grapes before Makris did. They made 100 bottles of wine — a batch of La Crescent, some Marquette, a few bottles of Frontenac. If all goes as planned, Makris hopes for more than 10 times that output this year. Both Makris and Granstrom emphasized their belief that the wine industry in Vermont is here to stay. The Brick Cape Vineyard winery is a small room off to the side in their post-and-beam barn, a clean-smelling space with a concrete floor. A metal grape crusher and destemmer sits on a table and on the floor are several demijohns and a larger fermentation tank. A shelf inside the door holds several glass carboys, fermenting a deep, ruby marquette from last year. Makris is thinking of naming it after the birds, she said, as a nod to the birds that devoured much of the harvest. 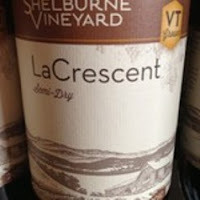 On the wine rack, just one bottle of the white La Crescent remained, the one unequivocal success in the first batches. 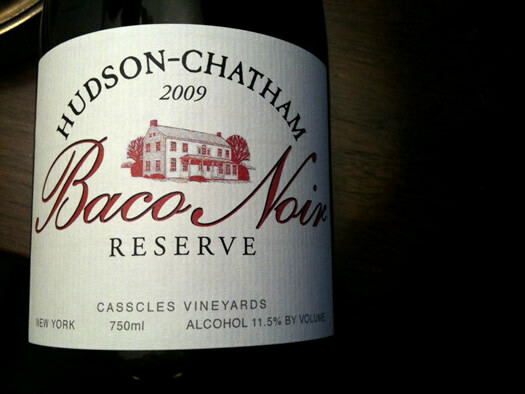 Brick Cape Vineyard is not yet licensed to sell its wine commercially, though Makris hopes to eventually market products to restaurants and stores locally. Before she undertakes the meticulous documentation necessary to obtain a license, she wants to refine her product, and become more established and confident as a winemaker. Susan L.M. 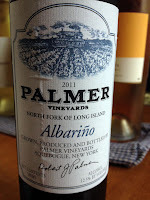 Goldberg blogs about all things NJ and FLX wine at http://winegirlblog.blogspot.com but I found this article on PJ Lifestyle, a different blog. Susan is a writer with a Master's in Radio, Television & Film and a PhD in Life who would be happy roaming the fields of Prince Edward Island with Anne of Green Gables, were it not for her strong belief in the axiom "all that is required for evil to prevail is for good women to do nothing." She prefers "Renaissance Woman" as opposed to any career title found on Monster.com. Her writing tends towards the intersection of culture, politics and faith with the interest in starting, not stopping the discussion. 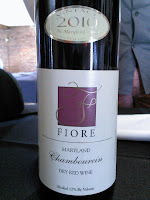 It's a great piece on NJ wine! The Garden State offers a bevy of fine wines, sans Snooki. New Jersey’s Outer Coastal Plain has the same geological composition as the infamous wine region of Bordeaux, France, without the snobby undertones. And wine critics are starting to notice. Want to get in early on what promises to become the Napa explosion of the East Coast? Start drinking Jersey wines. And there’s no better way to begin than by sampling some of the Outer Coastal Plain’s finest at a Jersey wine festival. Renault Winery, NJ’s oldest vineyard still in operation, hosts two annual festivals that aren’t to be missed: The Winter Chill and The Summer Chill. Opening their Tuscan villa hotel, ballroom, and French chateau-inspired tasting room/museum, Renault plays host to 12 of the Outer Coastal Plain’s finest wineries. After gearing up with hand-crafted wineglass holders (and picking up some unique wineglass charms) from AHG Creative, my husband and I set off to do some serious sampling. 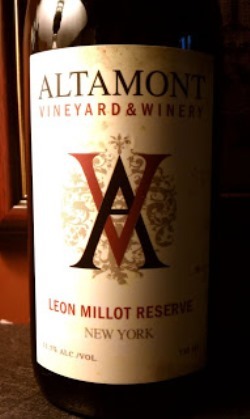 Amalthea Cellars, best known for their vinifera wines, offered a well balanced Vidal Blanc with a light mouthfeel carrying tones of melon, honey and a crisp green apple finish. Their L’uva Rosa carried the slight oak flavoring of a vinifera red without the heaviness, making this a great choice for a dry rose. 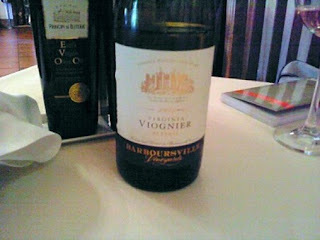 For those interested in labrusca/vinifera blends (a.k.a. 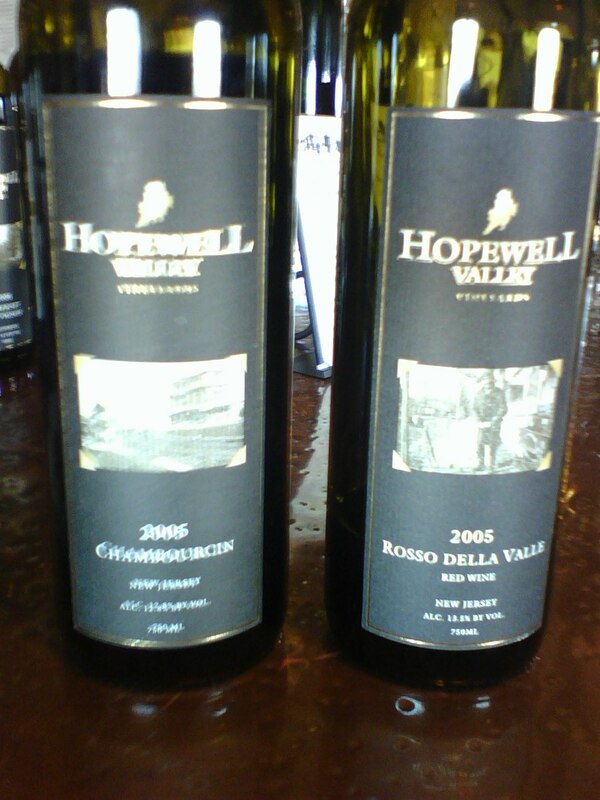 American/European grape hybrids) Bellview Winery was not to be missed. Their Jersey Devil White carried all the body of the cayuga grape with the floral essence of the traminette, making for an excellent dry white table wine. Jersey Devil Red is a blend of 6 vinifera grapes that creates a truly unique and flavorful chianti style wine perfect for an Italian BYOB. 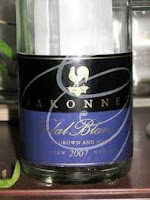 Like White Zin? Try Under the Arbor for a refreshing summer blush. Renault Winery changed our opinions of chardonnay with its 2011 Chardonnay unoaked. Steel-tank fermentation allowed the slight buttery quality traditional to the grape to linger throughout a rich mouthfeel and full bodied experience. 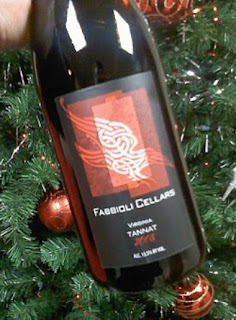 Instead of wrestling with oak, we were invited to linger in the perfect balance of tannin and fruit. 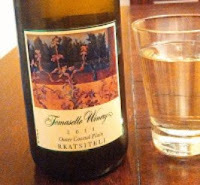 Following the white wine trail led us to Sharrott Winery‘s Dry Riesling, a crisp fruit-forward offering with a pleasantly dry finish that could easily compete with Rieslings from the Finger Lakes region, known for producing the finest of the German grape. We couldn’t leave the table before sampling a Crimignoles, Sharrott’s house blend of Vignoles (a semi-sweet white with apricot and honey tones) and Crimson Sky (a light bodied semi-sweet red) that makes for the perfect party drink. 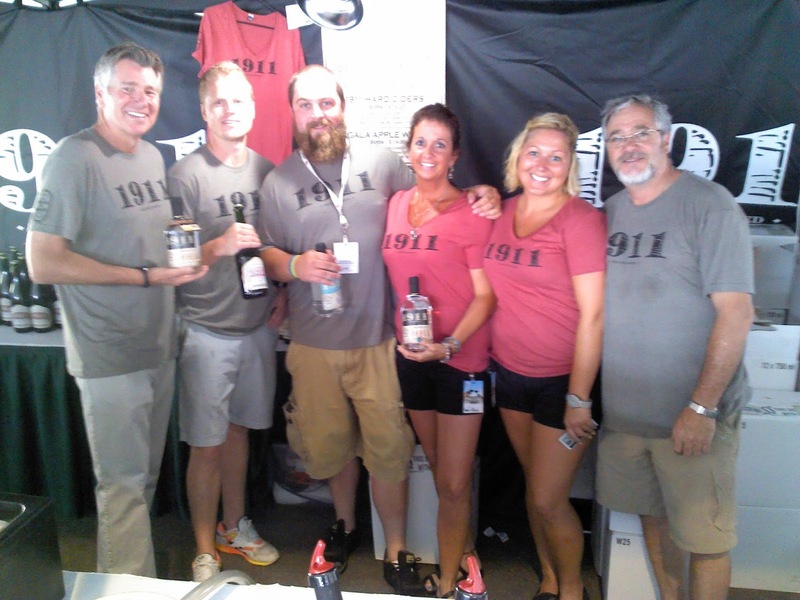 Coda Rossa Winery was the standout in the crowd with their powerful vinifera blends. Challenging the notion that Jersey can’t produce full bodied dry red wines, Coda Rossa offered up 1526, an unbeatable Cabernet blend with an oak tannin that embraced the full bodied fruit of the grapes. The Super Tuscan, a bold blend of Chianti and Cab Franc with a rich mouthfeel and tannic bite is bound to become a standard at my dinner table. Our own personal favorite of the fest was Tomasello Winery’s Palmaris Outer Coastal Plain Cabernet Sauvignon Reserve 2010. The rains ended in September, providing a unique growing season and harvest that would produce one of the most complex and outstanding Cab Sav wines we’ve tasted. 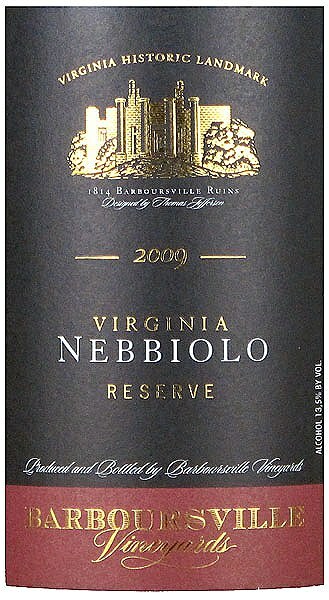 On the wine list at the prestigious Capital Grille this is a Cab Sav at a great value that needs to be on your cellar shelves. These and many other wines showcased at the Summer Chill Festival inspire fine wine drinkers to challenge their assumptions about wine in the Garden State. 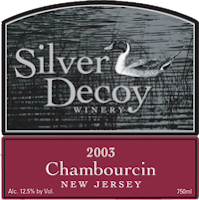 Now is the time to get into New Jersey wine. With George Taber hosting judgments in favor of Jersey, we may very well be seeing the birth of the next great American wine region. A host of area wineries will be on hand to show off their vintages when the Jersey Fresh Wine Festival comes to the Burlington County Fairgrounds next month. If you’ve been hearing about the big splash Jersey vineyards have been making in the wine world, this is a great chance to sample their wares and learn more about the role wineries are playing in New Jersey’s agriculture and economy. Plus, you’ll get to enjoy some really good wine and groove along to the sounds of long-time Jersey musical favorites, the VooDUDES. The band plays a mix of original songs and well-loved tunes, in a jambalaya blend of funk, blues, honky-tonk, Caribbean music and Zydeco. South Jersey wineries participating in the festival include: Amalthea Winery, Auburn Road Winery and Vineyard, Bellview Winery, Chestnut Run Farms Winery, Coda Rossa Winery, DiMatteo Vineyards, Heritage Vineyards, Plagido’s Winery, Renault Winery, Sharrott Winery, Tomasello Winery, Valenzano Winery and Wagonhouse Winery. 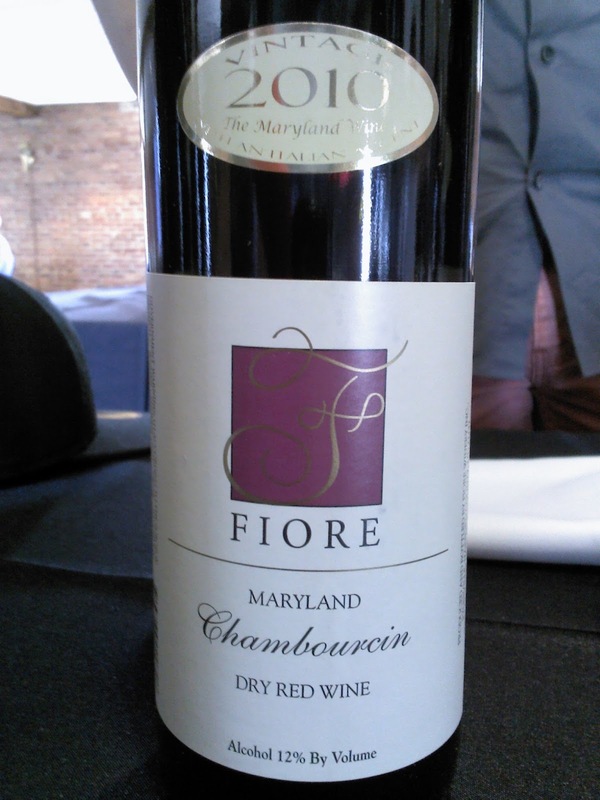 Jersey Fresh Wine Festival will be held Sept. 7 and 8. The fairgrounds are located off Route 206 in . Tickets are $25 (21 and up), or $40 for a two-day pass. 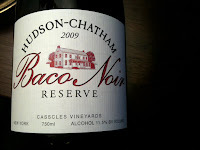 For more information, visit newjerseywines.com. So I was at the Finger Lakes Wine Festival when I saw this really cool looking stand. “What is that?” I asked myself. There were wine bottles and booze bottles. And a name I had never heard before….Beak & Skiff. So I meandered over….and was I glad I did! Their family owned orchard began in 1911 when George Skiff, an onion farmer on the North Side of Syracuse, and Charles Beak, a dairy farmer, met at the farmers market and decided it would be fruitful to join forces and enter the emerging apple business. They found that the hillside area along Route 20 provided the perfect conditions for growing apples and began planting that very year. During the 1920s and 30s Beak & Skiff began selling apples to grocery stores such as Victory, A&P and other small local grocers. The 1930s brought some of the toughest years for American agriculture as drought swept across the nation. In 1937, the hardships struck close to home when it became so dry that all the trees in the orchard lost their leaves. The orchard once again fell on hard times in 1945 when a late spring freeze destroyed an entire crop of apples. In 1949 they started to use heat to fight off frost by lighting smudge pots on cold spring mornings. Throughout the years they have continually improved their methods so that they have never lost an entire crop of apples again. They began using irrigation methods to keep the trees watered. Their increased production throughout the decade led to a need for larger apple boxes to store their harvests. One of the challenges of growing apples in the valley is the tendency for cold air to settle. So in order to further protect the delicate apple blossoms that become apples they became the first orchard in the Northeast to use wind machines to move cold air out of their valley so it couldn't damage the blossoms. Over the years this innovative method has saved thousands of apples from being destroyed before they had a chance to grow. In the early 60s they added Controlled Atmosphere rooms so that apples could be stored longer. 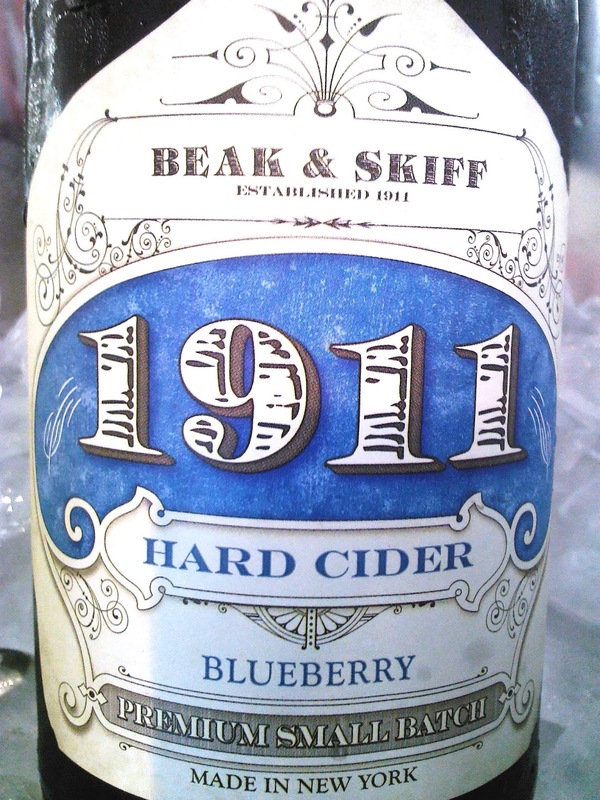 In 1975 Beak & Skiff diversified from the strictly wholesale business of past years by opening their pick your own orchard on what has become known as Apple Hill. A few years later they converted an old dairy barn into the Apple Hill Country Store and bake shop. This has been one of their most successful ventures and has provided families in Central NY with a place to create wonderful family memories year after year. 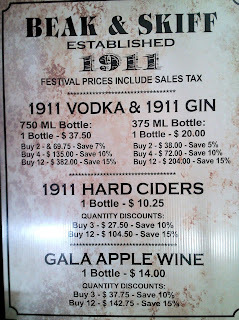 They first began making apple cider the same year they opened the country store. 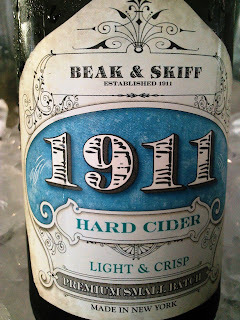 In 2001 Beak & Skiff branched out again by creating a line of hard ciders. 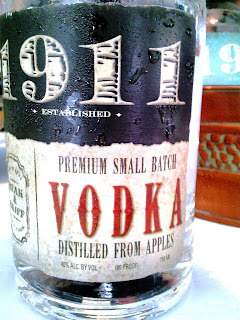 The success of their hard cider line led them to further jump into the spirits business with the launch of their small batch premium vodka and gin. 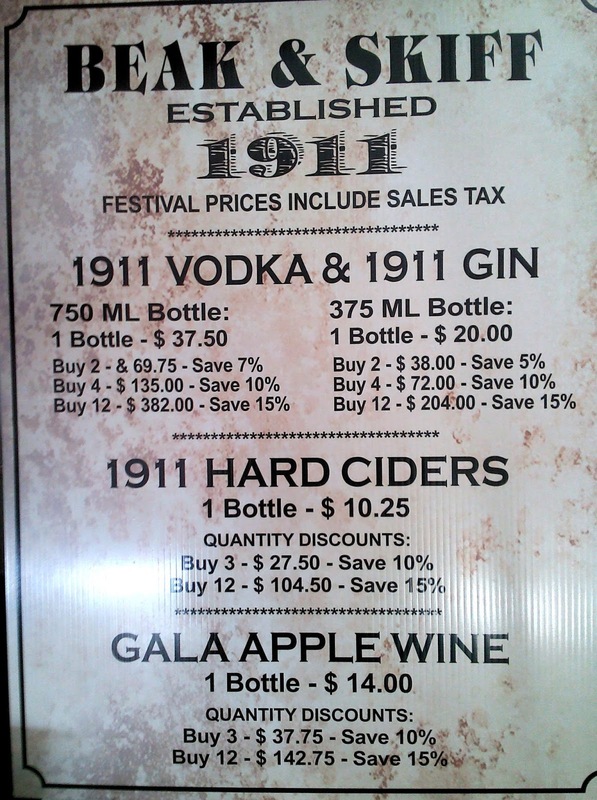 Their 1911 Spirits brand was the first in Onondaga county to hold a distillery license and the first to produce gin. They have been growing apples for more than 100 years. Every winter each one of their 250,000 trees is trimmed by hand. In the spring they bring in over 400 hives of bees to help pollinate their crop. In partnership with the Cornell extension, they grow over 15 varieties of apples on their land in the hills and valleys of LaFayette, NY. Now in their fifth generation they continue to make advancements and improvement in and around the orchard. In 2013 they planted almost 15,000 new trees and began renovating their apple hill. OK, so let's talk cider. 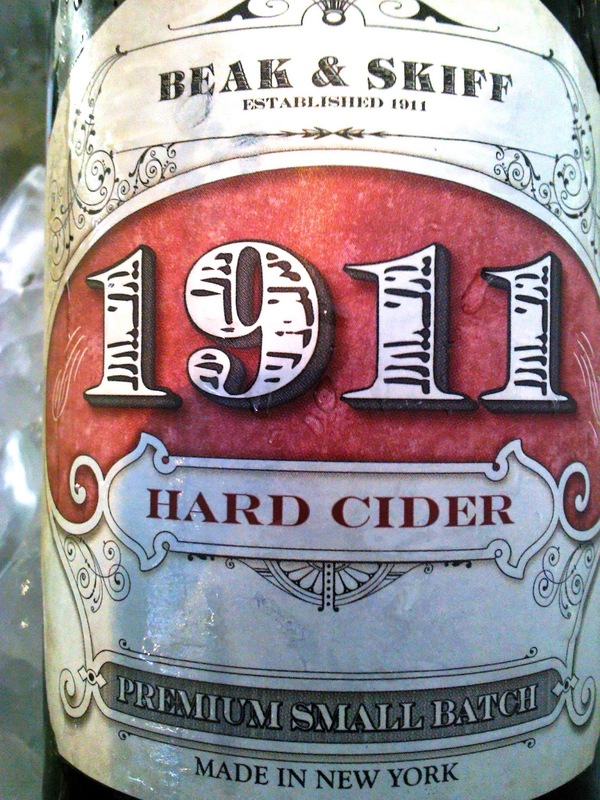 1911 Hard Cider Light & Crisp is exactly what it says it is. 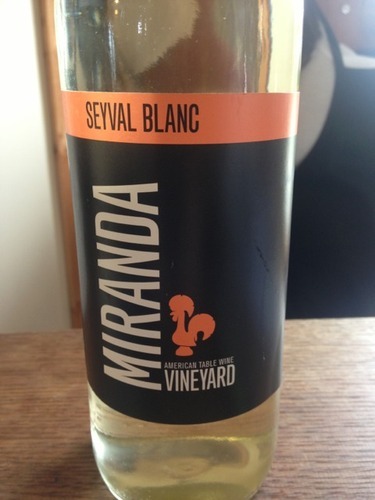 It's like a glass of bright, tart apples, with brisk acidity and great apple flavor. Not too heavy, and not too sweet, this is an easy drinking cider. Very quaffable. Almost near sparkling wine - like Prosecco! 1911 Hard Cider Premium Small Batch is their standard bearer for the line. This is a touch more austere, a bigger, bolder flavor. A hint more sweetness. Excellent! 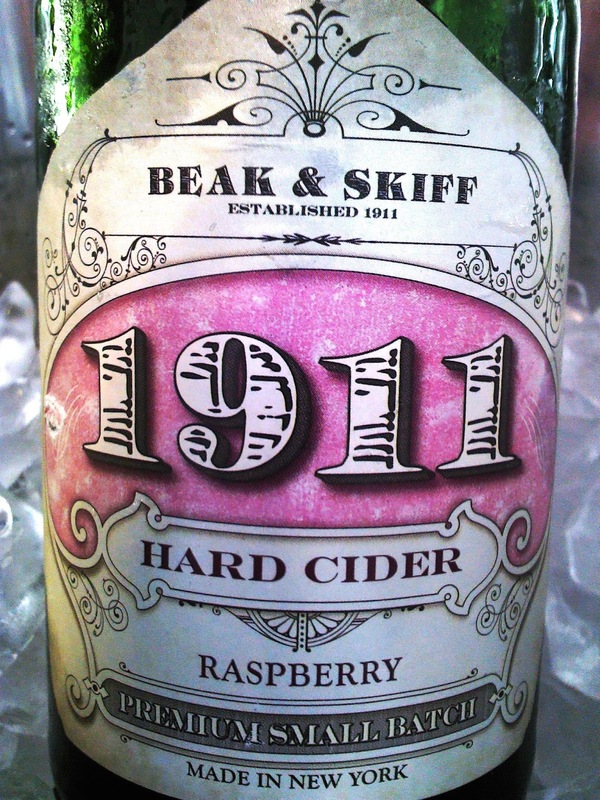 1911 Hard Cider Raspberry follows the trend of raspberry sweetened ciders. Of course, it's very good! The raspberries lend the hint of berry flavor that compliments the apple so well, and of course, their combined tartness, makes this a fabulous elixir!!! Wonderful! I was a little spurious of the Blueberry, but my fears were allays once I tried it. Very nice nose on the blueberry. It actually smells like blueberries, and not blueberry extract. Very lovely. Nice touch. Prefer the raspberry, but for those who like blueberry, you will be thrilled. 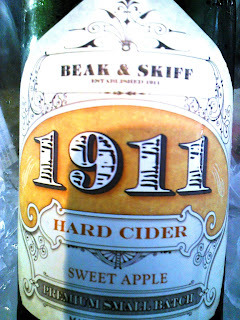 1911 Hard Cider Sweet Apple was my guilty pleasure. I loved it. I know we're all supposed to be sitting here saying I like dry this, or dry that/ Sorry, this tasted like Martinelli's sparkling cider, but with booze in it. I absolutely loved it! It was sweet without being cloying. 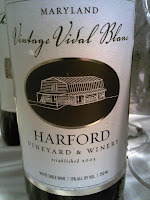 Smelled like a bowl of fresh cut tart apples, and had the acidity to balance the whole thing out. Fantastic! Gala Apple Wine was the only still wine r cider of the tasting. This is a lovely, semi-dry apple wine, with a lovely nose of bright green apples, and a hint of sweetness to compliment the bright, zippy acidity. 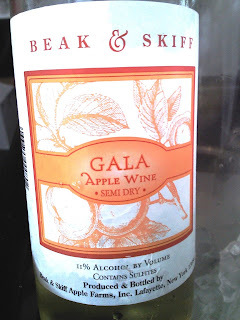 One of the best apple wines I have tried. 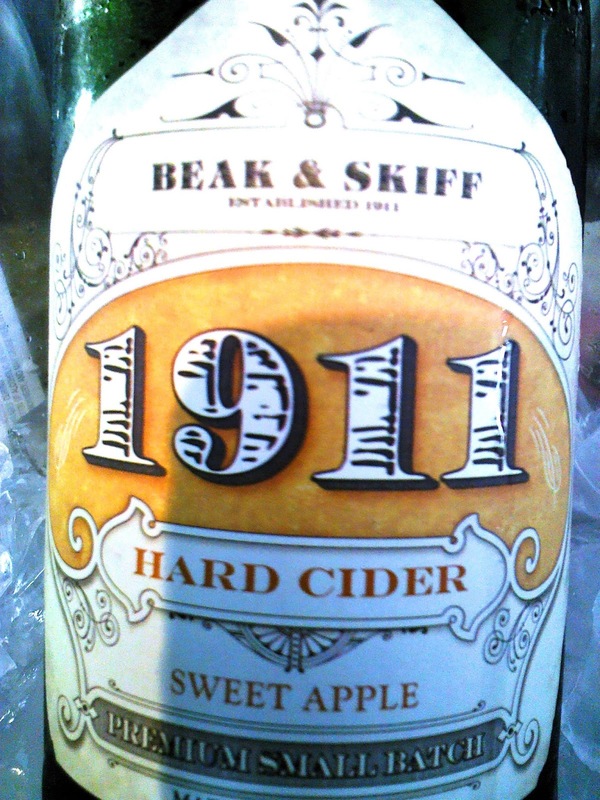 Beak & Skiff Distillery is the newest addition to Beak & Skiff Apple Farms located near LaFayette, N.Y. 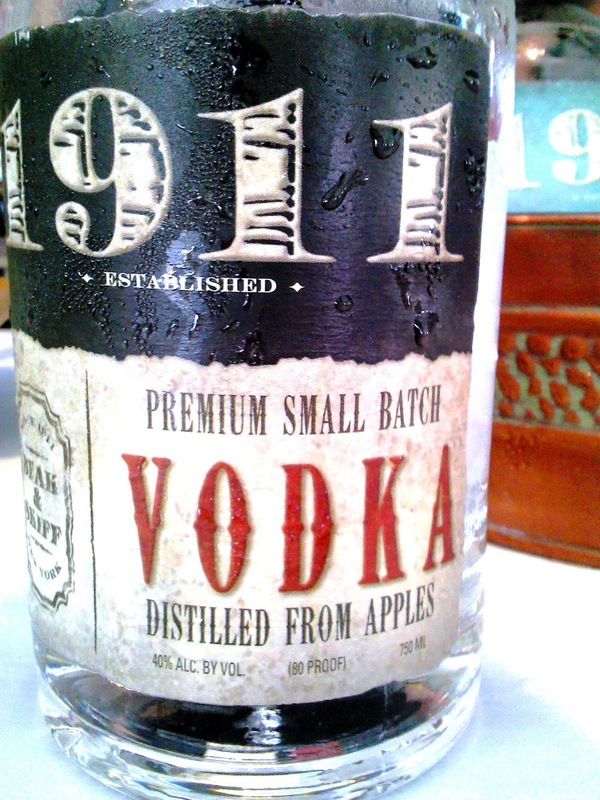 In 2010 we commenced production on the ultimate apple spirit, vodka. The vodka was very nice. It had a very, very slight hint of apple, but was otherwise clean and dry, and complete. Very nice. 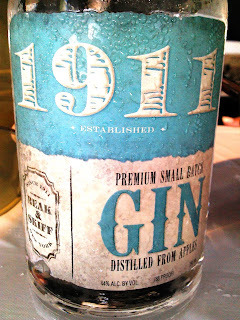 But I was most impressed with the gin. The Gin was wonderful, with a big dollop of botanicals, and only a whisp of apple, this was a very, very nice gin, perfect for mixed drinks - still joneses for a G&T with this stuff - and for a very special Martini....especially a dirty one with this stuff. Really, really nice! Beak & Skiff has retrenched it's look, and it's line in the 18 months or so. The design is just the right amount of retro - turn of the century, country store retro. I love it! It is fabulous all the way through. 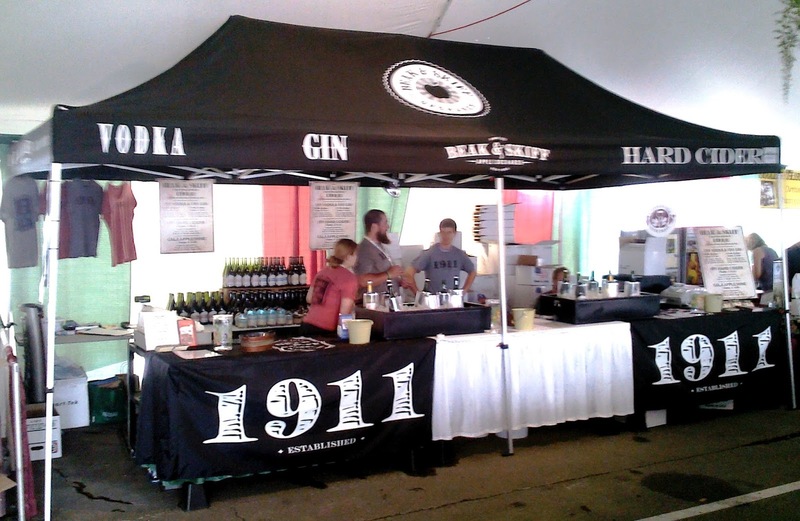 The design, the packaging, and the product are all of high quality, and their showing at Finger Lakes Wine Festival was an excellent idea. They have positioned themselves to be among the top cider makers in the marketplace beautifully, and their distilled product is nothing to be trifled with, also of high quality. Really great stuff, and excited to see what they come up with next! Fantastic! 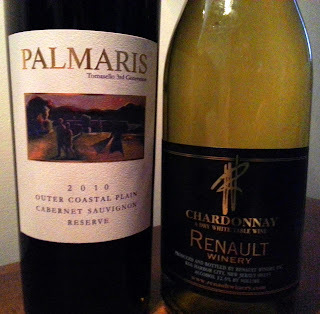 THE ROAD NOT TAKEN: Obscure Varietal Wines for Wine Geeks Only! I am always amazed. 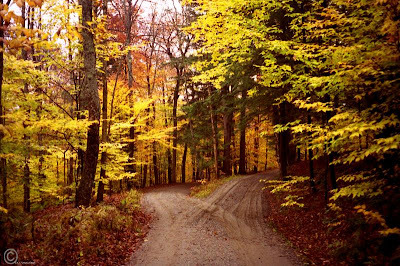 There seems to be a growing number of people who think that M. Scott Peck wrote The Road Not Taken or that the name of the poem is The Road Less Traveled. Likewise, I am always amazed how Americans are always seem to be looking for a new grape or varietal wine to discover, the further you have to travel, the more exotic, the more attractive it seems to be. New wines from Hungary or Greece seem to have captivated wine hipsters from New York to LA and back. Like Lord Byron, they seem to need to wipe the dust of American soils from their Doc Martins and their Crocks, only to plunk down hard earned American coin on long shots from foreign shores. Rather than set out for distant lands, maybe it’s time to pull your own wine Candide – and spend a little time in your own backyard and rediscover America – and discover some new, exotic American wine. 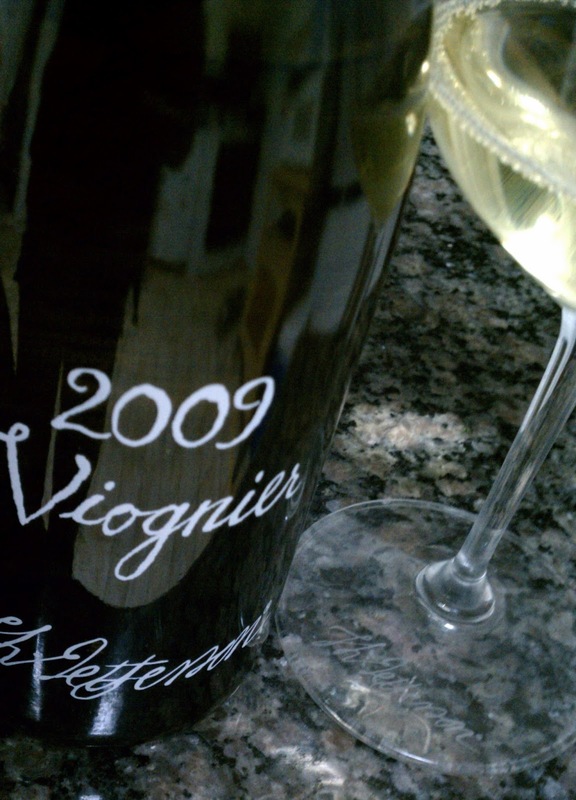 Let me dazzle you with this – there are tons of obscure grapes you probably haven’t experienced. There are grapes, I can guarantee you, that are being grown in the U.S. that you don’t know exist or don’t know are being grown here in the U.S. The world is experiencing a Golden Age of wine, and America is the land of Oz. Explore it, relish it, be thrilled with it. There is so much to taste! To discover! Not since the invention of the railroad and car has there been a better reason to discover America and its vast regions all over again! There are a host of grapes, from vinifera, to hybrid, to native that I am sure you have not tried. Maybe you have had some of them, but definitely not all of them. Not grown and made here in the U.S. And I can likewise guarantee that even among professionals, there are writers and bloggers who have not tasted all these regions or all these wines. Wine is too big today. There’s so much going on, everywhere, especially in the Unites States. It’s much harder than it was even 15 years ago to know what’s going on. There are grapes such as Malbec, Tannat, Toraldego, Petite Mensang, Nebbiollo, Vidal Blanc, Seyval Blanc, Baco Noir, Leon Millot, Norton, Frontenac, Frontenac Gris, Marquette, St. Croix, Chelois, and many, many others. 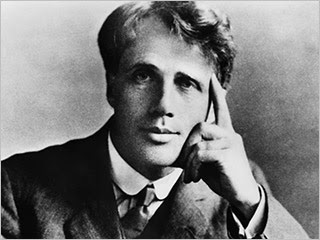 The story of Candide has been morphed many times over, most notably in The Wizard of Oz, and so I would quote the famed witch-killer from Kansas Dorthy Gale, otherwise known as Judy Garland, "If I ever go looking for my heart's desire again, I won't look any further than my own back yard. Because if it isn't there, I never really lost it to begin with!" So click you heels three times. There's no place like home! A fine old Italian grape is finding new homes here all the time. 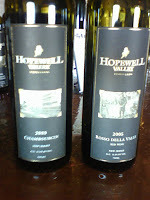 Italian winemakers at Hopewell Valley, Barboursville, and Turdo Vineyards do a great job with it! 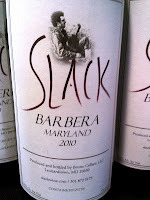 Slack in Maryland and Glass House in VA also makes a very nice ones! Norton is as an American a grape as you will find. Matter of fact, it almost solely made in the US, mostly in Virginia and the mid-west. A whole book has been written about the grape called, THE WILD VINE. 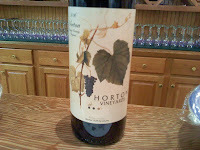 Horton Vineyards in Virginia certainly deserves credit for bringing this wine to prominence. Rappahanock also makes a nice one. 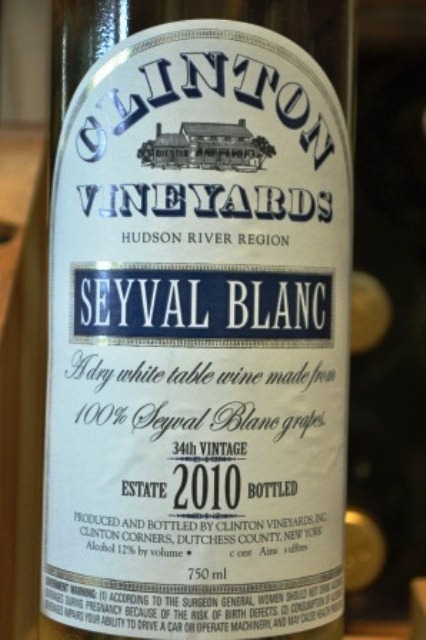 The most famous Seyval Blanc is Clinton Vineyards in the Hudson Valley.They started the craze for classic white table wine made from the French-American hybrid, which has been served in the White House! 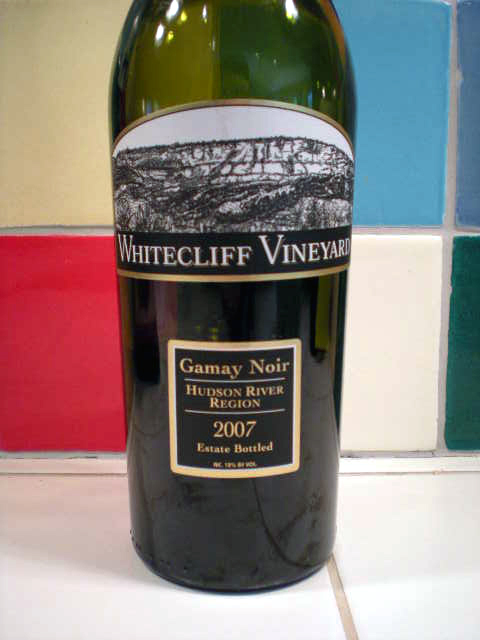 Other notables include Hunt Country Vineyards, Glorie Farm Winery, Clearview Vineyards, and Hudson-Chatham Winery. 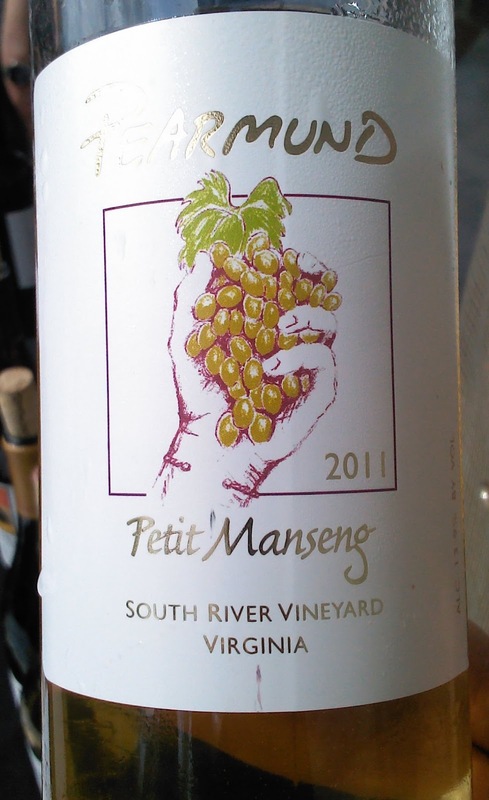 There are some lovely ones from Bellangelo in the Finger Lakes, Miranda from CT, and one from Rappahanock on VA.
My spelling is atrocious, and Petite Manseng is defintely one I always have problems spelling - but never have a problem drinking. 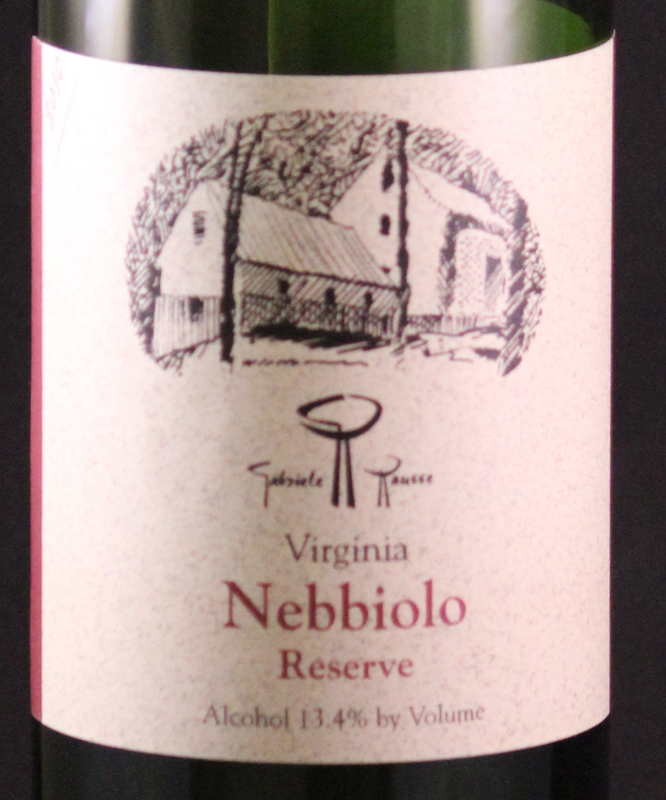 Aromatice and delicious, many Virginia wineries have taken this grape from southern France an done a fantastic job with it! Try it out! Glen Manor and Pearamund are among my favorites! This is a hybrid grape developed at University of Minnesota for cold weather sites, and it's ripping through the wine world, gaining ground faster than Patton through France. 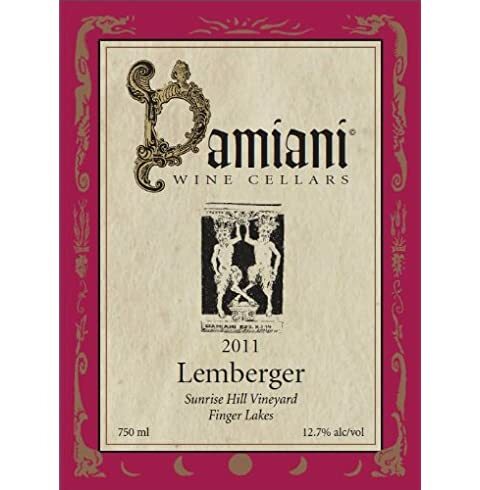 It is light, bright, and filled with cherries and nice acidity. 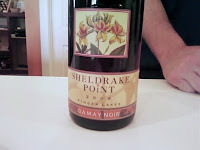 Very light Rhone-ish red-styled wines have captivated wine lovers in the mid-west and northeast! 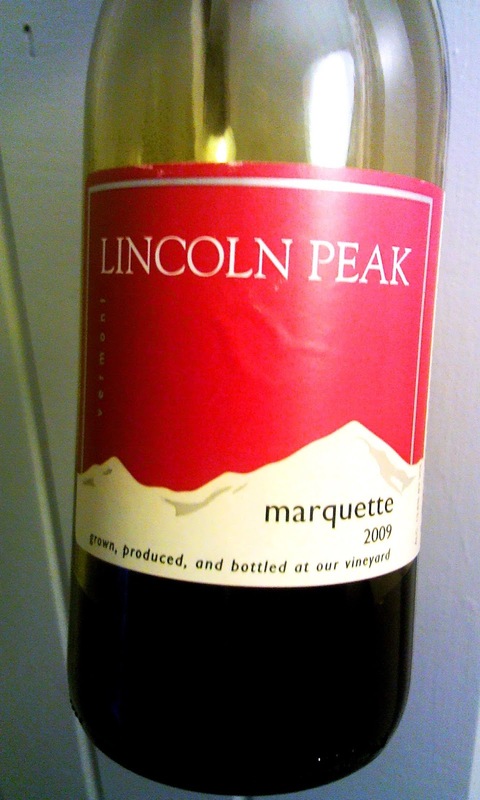 Favorite is Lincoln Peak, although neighboring winery Shelbourne is doing nice things with their reserve! This is another Elmer Swenson special from U of Minnesota. 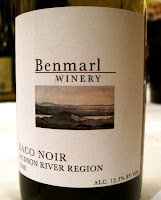 Makes a big deep wine, perfect for a big, deep port, which many id-western states do use it for. 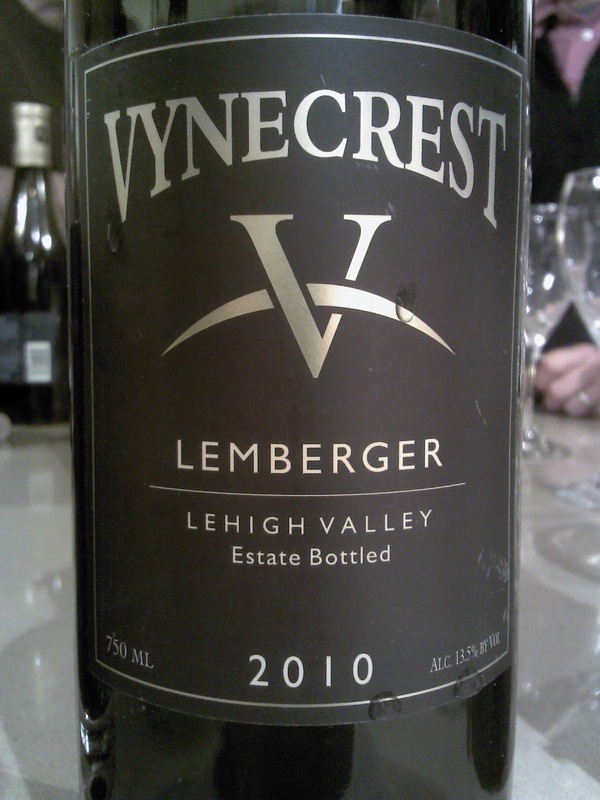 But several small vintners on the east coast have been able to make some very palatable, drinkable wines from it! 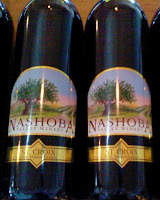 Here are two: Honora from Vermont and Nashoba from Massachusetts. This is a classic French grape, and certainly of noble parentage,. But it is obscure because it is a difficult grape, and is only grown in a few places. 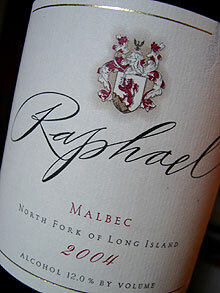 Done right, it is an immensely floral wine, with great nose and great character. 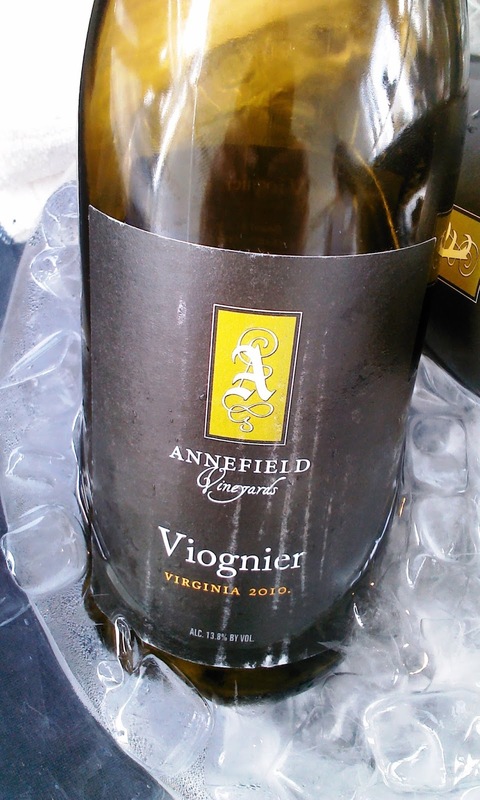 I love Viognier! Here's a few classics! Many seem to be from Virginia! Veritas and Jefferson are among my favorites, but then so are Annefield and Barboursville. I'm leaving out half a dozen others! 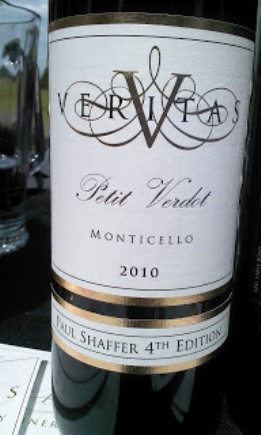 Again, Petitie Verdot is a classic grape but it's so rarely grown an sold as a varietal, I decided to include it in my selection! It's hard t find anywhere in the world, let alone the north east! Virginia does it best! Although occasionally you will see one pop-up elsewhere. If you do, grab it! 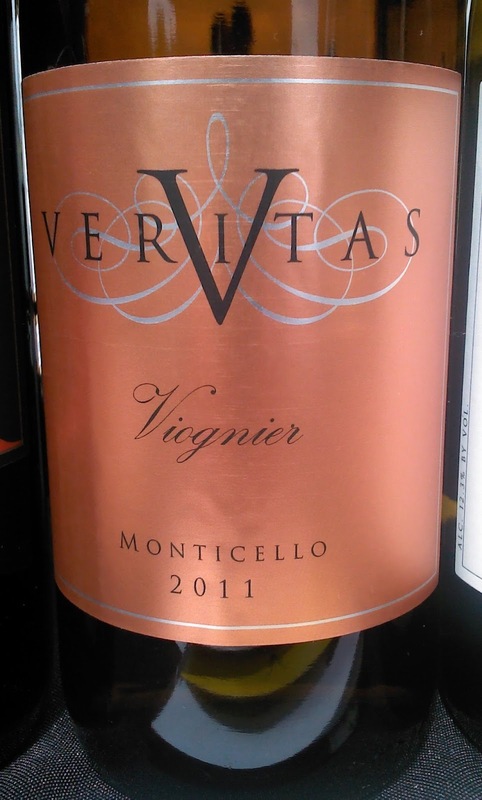 Veritas and Pollack are among my favorites, but there are other notables, as always. This is a fabulous French-American hybrid that is gaining in popularity. 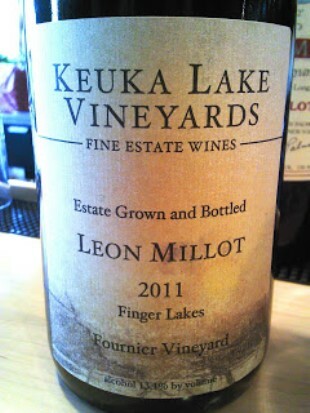 The King of the varietal wines of this grape is Keuka Lake Vineyards, whose wine won bed red in New York state. It is simply put - stellar. Other notable examples include Altamont Vineyards, and a few others. Sangiovese is another of the popular Italian grapes, but again, there are several east coast wineries that do it quite well. Turdo Vineyards and Barboursville are the best. But there are other notables! Either way, a tough name for a grape. 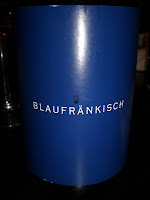 I prefer Blaufrankisch. Originally I did not like this grape, but more and more people are doing well with it. Red Tail Ridge does it the best, hands down. But there are some other nice wines coming up with this grape. Channing Daughters of Long Island and Vynecrest of Pennsylvania have made two excellent ones as well.Laurita and Belleview turn in notable efforts in NJ, and Palaia in the Hudson Valley. 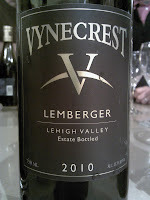 There are also some nice Merlot/Lemberger blends that are very nice, but I'm going with straight-up varietals here. Albariño or Alvarinho is a variety of white wine grape grown in Galicia (northwest Spain), Monção and Melgaço (northwest Portugal), where they make bright, dry table wines with lots of bright acidity and are very zippy and refreshing. 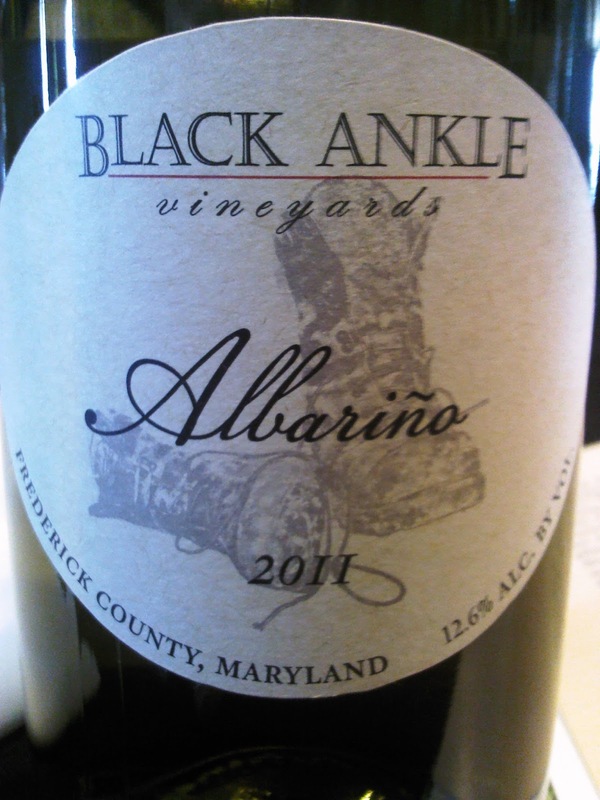 Here are two great ones: Black Ankle in Virginia and Palmer Vineyards in Long Island. Another of the onslaught of Minnesota varieties. Frontenac Gris is among my favorite, very much making a bright light white wine with great fruit and acidity. 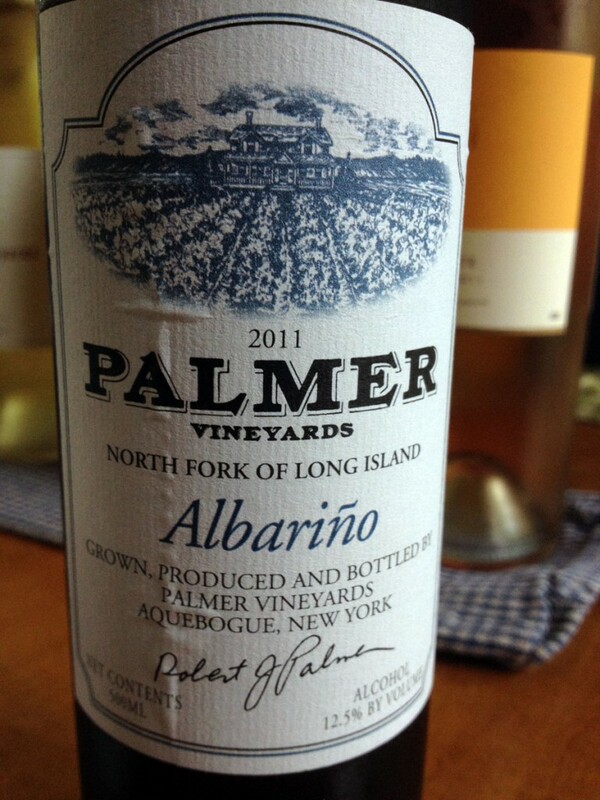 Reminds me of a more floral Albarino. A lovely, lovely wine dry or slightly sweet!!! 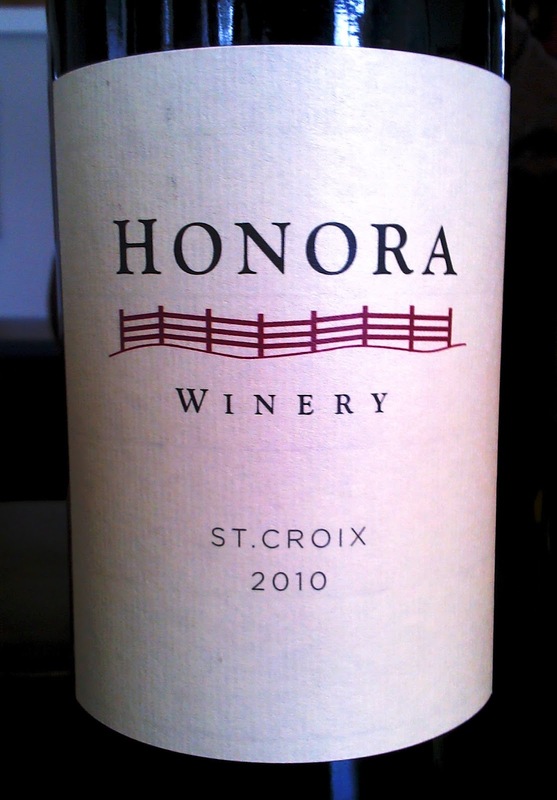 There are also several blends featuring Frontenac Gris which are also quite wonderful! The backbone of Beaujolais, this grape is absolutely among my favorite. Bight, soft, light, approach able reds. 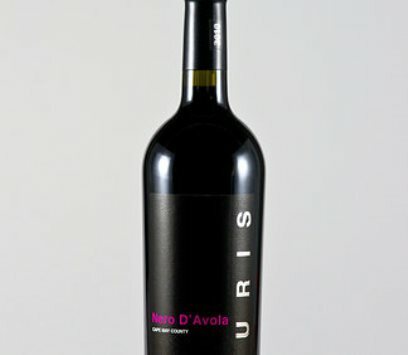 Don;t confuse this with Nouveau. These are sophisticated light red wines, perfect with lunch or a light dinner. beautiful, classic in structure. 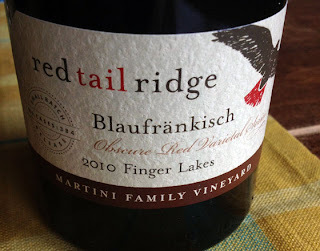 I especially love Whitecliff Vineyards in the Hudson Valley and Shelldrake Point in the Finger lakes. 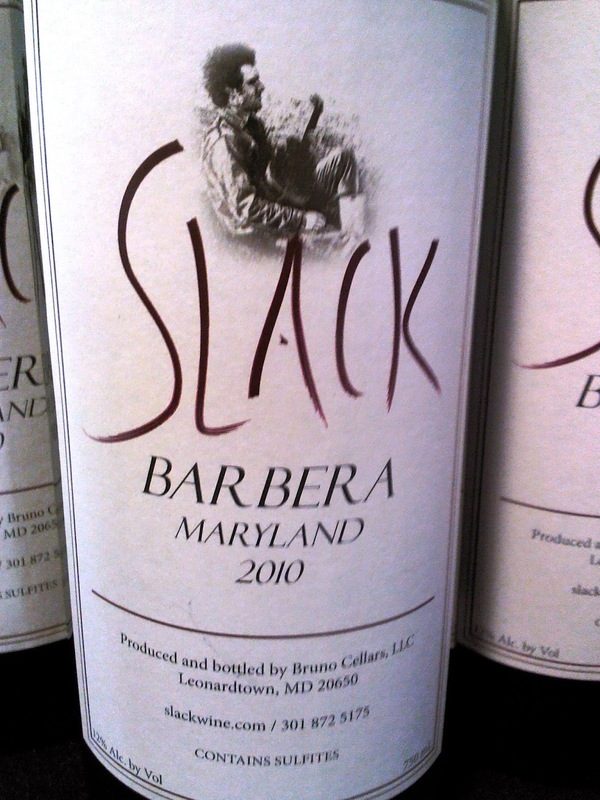 Another classic Italian grape rarely seen as a varietal on the east coast. Turdo Vineyards does an incredible job with this grape! Another Minnesota variety gaining wide spread acceptance and favor. A lovely, bright, acidic wine. 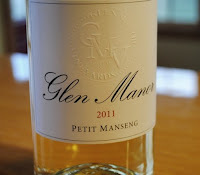 Can make great dry or semi-sweet wines. Some lovely different versions of this one out there. Shelbourne Vineyard in Vermont makes a lovely one. Thousand Islands and Fresh Track Farm also make nice versions! Baco Noir was one of the grapes that made huge headway in the 1950s and 1960s under the wings of such winemakers as Philip Wagner in Maryland and Mark Miller in the Hudson Valley. The grape is experiencing a renaissance today! Some wonderful soft, red Burgundy-styled wines have made serious impressions on discerning wine folks. Benmarl continues to carry the flag with Hudson-Chatham and Brookview Station also producing critical successes and popular editions. This is the red grape work horse of the French-American hybrid reds. 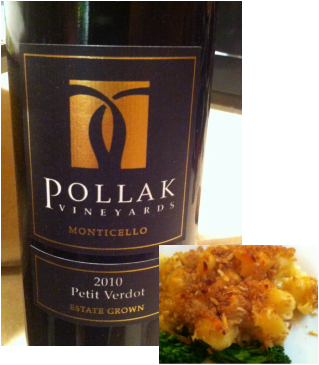 Can make everything from a Bordeaux-styled big deep red, to an Italian-styled dry red, to port. 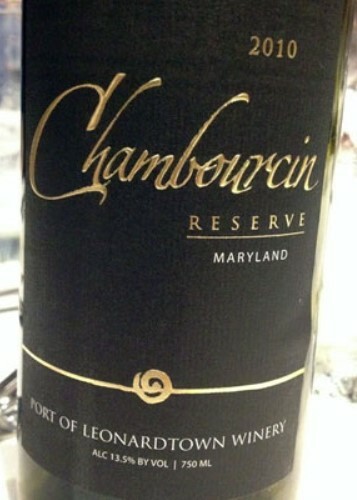 There are some lovely Chambourcins being made, especially in New Jersey, Maryland and Virginia! Hopewell Valley and Four JGs make the best versions. 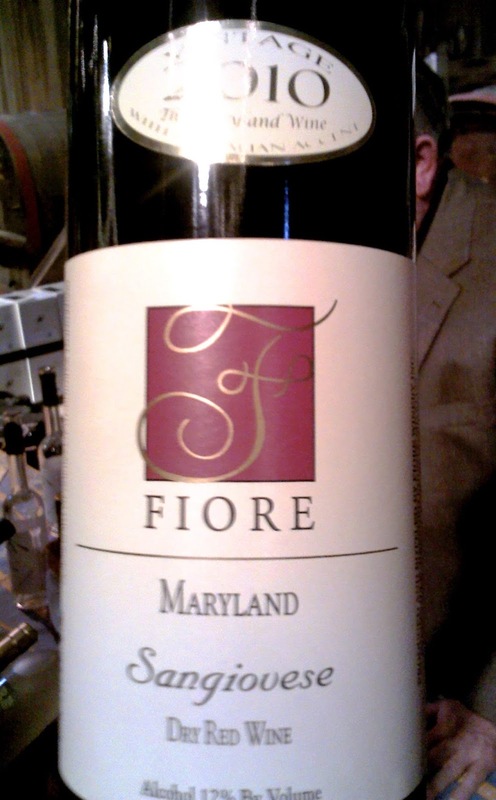 But Port of Leonardtown and Fiore also make good versions, and Silver Decoy and Zephaniah also make some very good wines as well. Classic in structure. Great table reds that will ages for years to come! 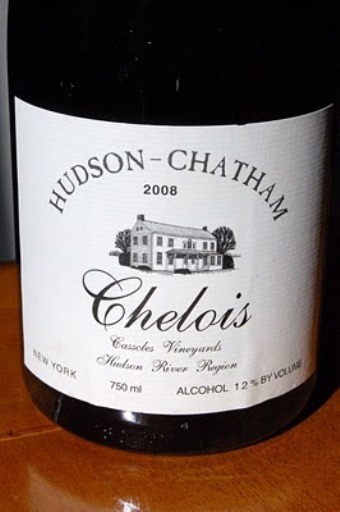 Only twin wineries currently make Chelois - Hudson-Chatham Winery and Brotherhood (which only sells it in their tasting room seasonally). Both come in small quantities. But notices for the wines have grown.These make light, bright, Pinot Noir-styled wines from a very fabulous, but little known French-American hybrid. Plantings used to be more plentiful, but dimmished. A small comeback is now in the making. A deep, red from the Minnesota program, this found a happy home in the mid-west, but in the Northeast, this grape is coming on strong. 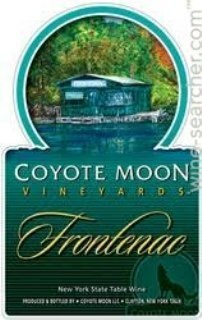 Two nice editions come from Coyote Moon and the soon-to-be-released Brookview Station estate bottled dry red. The BSW red is easilly the best produced on the north east of this variety. This is obscure Russian grape that dr. Konstantin Frank made popular more than a half-century ago. It is now starting to spread quickly. Very much for drinkers who like Riesling and Gewurztraminer. A lovely, refreshing wine. Dr. Franks is the standard bearer hands down. But there are others. Tannat is a red wine grape, historically grown in South West France in the Madiran AOC and is now gaining attention around the world, especially in South America. Fabbioli makes a dynamtite big, deep red wine from this grape. It is fantastic! Big, and age worthy, it's a serious red drinker's dream come true! Another of the classic Italian red grapes. 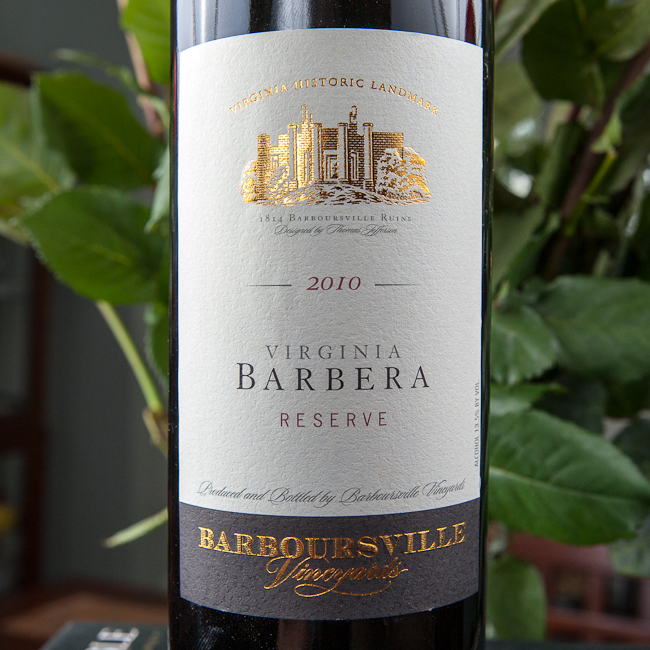 Barboursville does it best hands down! 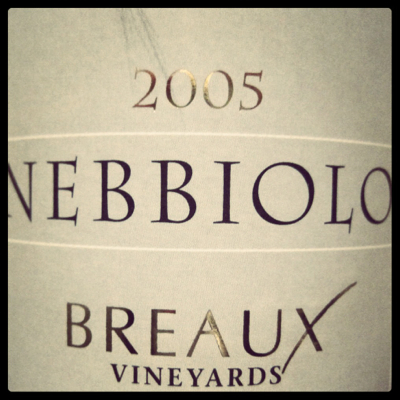 But breaux Vineyards, and especially Gabriele Rausse also do classic versions of this varietal. Fantastic! 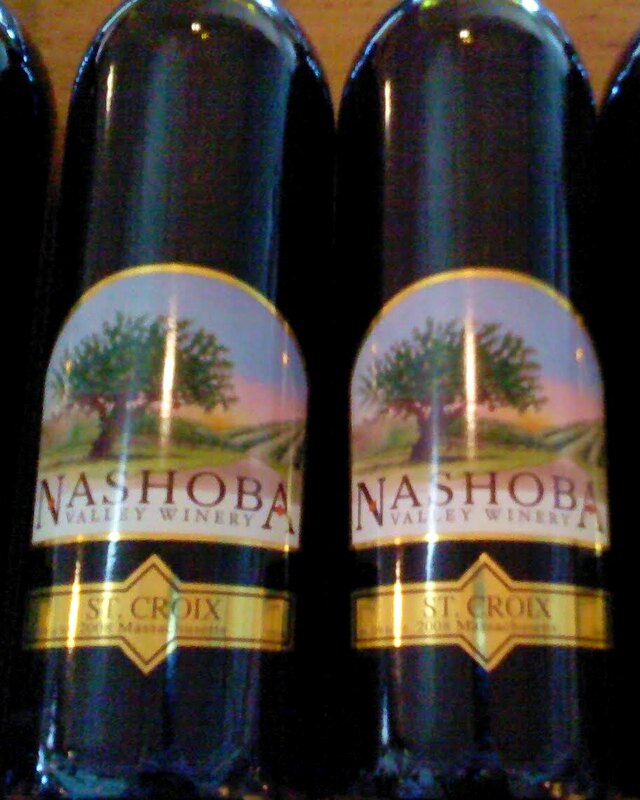 This is a classic noble grape of Bordeaux, France. 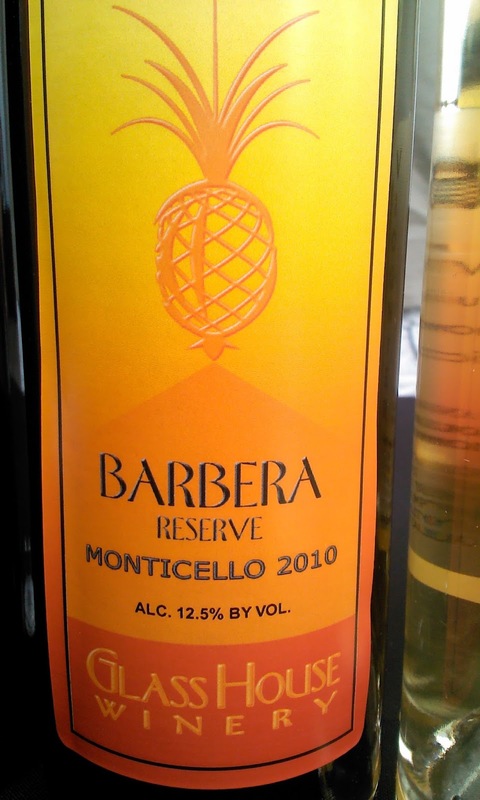 But again, like Petite Verdot, the chances of finding is varietal of this wine is near impossible. 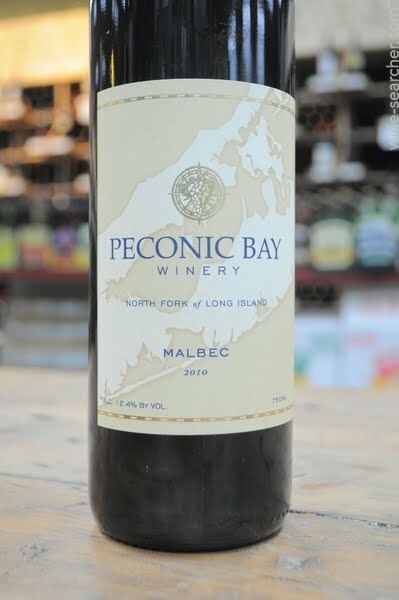 Peconic Bay does a very nice version. Lenz and Raphael wineries have offered single bottlings to their wine club members in the past. 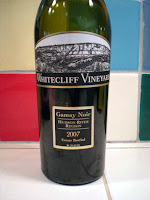 Whitecliff Vineyards and Hudson-Chatham have also offered very palatable versions as well. Always a surprise! 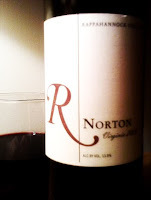 A lovely, jammy red, with classic structure. 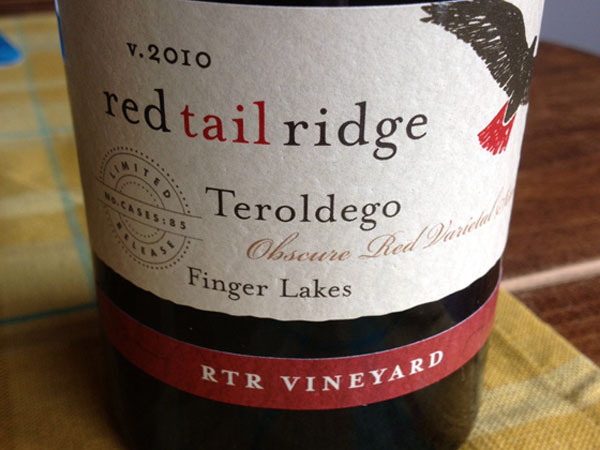 Teroldego is a red Italian grape variety currently being grown in New York state. I thought there might be some in Virginia or Maryland, but no other straight up varietals I could find. 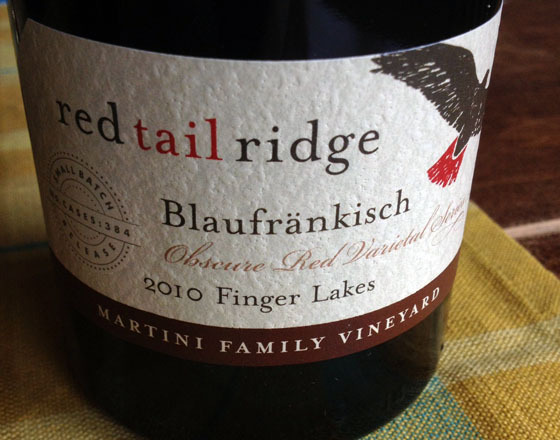 But let me tell you, this one will do, grown and made at Red Tail Ridge Vineyards, this medium-bodied dry red wine is absolutely fantastic. it's begging for some sharp cheese or lightly grilled meats or Portobello mushrooms. It's spectacular! NEW YORK WINE & FOOD CLASSIC 2013! !